Professional Military Education (PME) has always been a critical component of developing military leaders. It is based on two key principles: train for certainty, so that military personnel gain and master the skills needed for known tasks and educate for uncertainty, so that they have the broad base of knowledge and critical thinking skills needed to handle unanticipated and unpredictable situations. 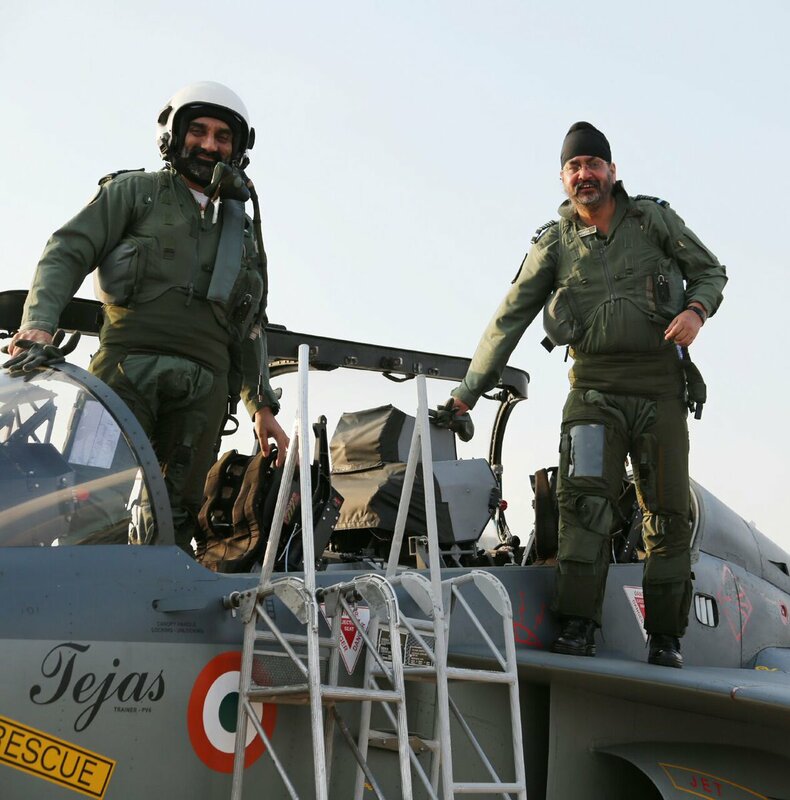 No pilot who has actually flown the indigenous Tejas light combat aircraft has had anything but the highest praise for the fighter plane. This includes two recent IAF chiefs. ACM Arup Raha called it “a wonderful aircraft” after a sortie in Bengaluru in 2016. The present CAS, ACM Dhanoa, after his LCA flight on the first day of AeroIndia 2017 seemed very satisfied and left, a project a staffer told me, with “a very positive aura”. One can, moreover, imagine that, as a seat of the pants flier, ACM Dhanoa couldn’t have resisted taking control from the back seat of the Tejas, with the National Flight Test Centre head AVM AP Singh in the lead cockpit. After all, Dhanoa is the first air chief to have flown solo — and that too a MiG-21 bis after becoming CAS, after ACM Anil Tipnis in the fin de siecle. Will Coca-Cola’s New India Strategy Have Fizz or Go Flat? For the past several years, China has denied any role in the exploitation of U.S. networks.Yet mounting evidence suggests China is involved in widespread hacking activity. In many cases, the sources of these attacks are difficult to trace, and therefore challenging to deter under current U.S.-Chinese cyber agreements. Both states signed a no-first-use agreement back in 2015, and some have argued the Chinese Communist Party’s control over hackers inside its own country is quite minimal. Given this, China’s claim that such attacks occur without the express guidance and sanction of central authority seems at least plausible. In the period leading up to the recently concluded 19th Chinese Communist Party (CCP) congress, civil-military relations in post-Reform China had previously been viewed under the lens of Party-army relations. More recently, however, such a paradigm—following Xi Jinping’s consolidation of the trifecta of Party-state-military power—no longer seems true, with some People’s Liberation Army (PLA) watchers alluding to a shift towards a model of Xi Jinping-PLA relations. Notwithstanding that the PLA has supported its commander-in-chief in his consolidation of power in attaining his present unassailable position in the Party-state, the extent to which the CCP’s coercive forces can count on China’s new paramount leader to fully translate his considerable political clout into the former’s growing professionalization, however, is open to debate. The situation with North Korea was getting critical. The lights, to use the worn-out phrase, were blinking red. The State Department, the Defense Department and the White House were increasingly concerned either that the North Korean regime was hiding components of its plutonium program from the International Atomic Energy Agency (IAEA), or that it would exploit any negotiating track to stall the international community while improving its nuclear capacity. The motives of the Chinese, Pyongyang’s biggest trading partner and bankroller by far, were unclear—adding more complication to a problem that was already far too complicated. So far this year, North Korea has conducted multiple nuclear weapon tests, a series of intercontinental ballistic missile tests, and has continued to prioritize the development of nuclear weapons over the well-being of its own citizens. North Korean dictator Kim Jong Un assumes that provoking the U.S., threatening our allies, and developing nuclear weapons will secure the future of his regime. He is wrong in this assumption. This threat is critical to the national security of the United States and for the safety of the world. North Korea has disregarded almost every agreement and commitment it has made to the U.S. and our allies. The regime has also demonstrated a proclivity for breaking international law and undermining international oversight of nuclear development. It is imperative that as North Korea’s nuclear capability increases, we continue to put pressure on Kim Jong Un and his regime. AS COALITION talks in Berlin dragged on through Sunday evening there were rumours of progress, of a nearing accord. 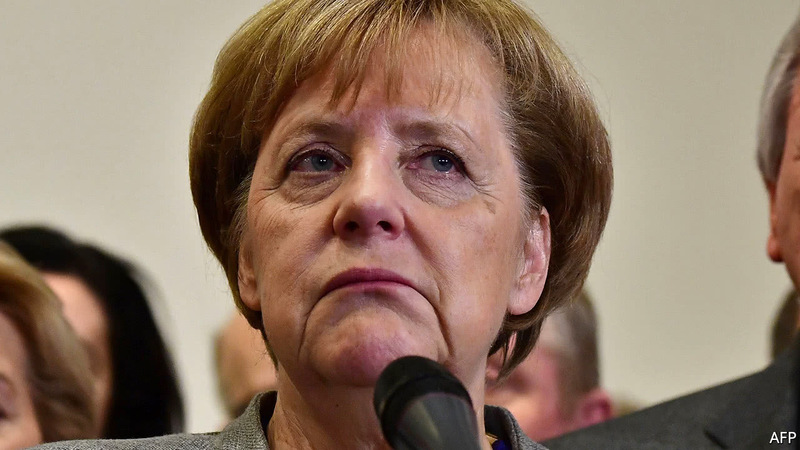 After four weeks Angela Merkel’s Christian Democrats CDU, the Bavarian Christian Social Union (CSU), the pro-business Free Democrats (FDP) and the Greens had sailed past two self-imposed deadlines. Now, perhaps, a deal was close. But not long before midnight everything changed. With the rest of the FDP leadership at his side, Christian Lindner appeared without warning outside the negotiation venue and announced that he was breaking off talks. “Russia’s interference in the US presidential election in 2016 sent a signal to the West: democratic societies are deeply vulnerable to foreign influence,” writes Dr. Alina Polyakova in The Kremlin’s Trojan Horses 2.0: Russian Influence in Greece, Italy, and Spain, a new report from the Atlantic Council’s Eurasia Center. Following a successful installment on Russian influence in France, Germany, and the United Kingdom, this report examines Russian political presence in Southern Europe. In September 2017 the EU updated its 2013 Cyber Security Strategy. The new version is intended to improve the protection of Europe’s critical infrastructure and boost the EU’s digital self-assertiveness towards other regions of the world. But the reformed strategy leaves open a number of questions as to how its objective of an “open, safe and secure cyberspace” will be credibly defended, both internally and externally. The EU has neither properly defined resilience or deterrence nor made sufficiently clear how it intends to overcome institutional fragmentation and lack of legal authority in cybersecurity issues. Moreover, controversial topics – such as the harmonisation of criminal law or the use of encryption – have been entirely omitted. Member states should abandon their standalone efforts and speed up the legal regulation of cybersecurity at the EU level. On July 20, 1969, millions of people received an inspirational jolt from watching two brave astronauts take humankind's first steps on the moon. Rightly so, those astronauts, Neil Armstrong and Buzz Aldrin, are now household names to many - however, their Apollo Guidance Computer (AGC) remains the unsung hero that made their moon landing possible in the first place. The disappearance of the Argentine submarine ARA San Juan and her 44 crew on Nov. 15 is the most serious incident for the country’s armed forces in decades. And one glimmer of hope — a series of satellite signals thought to have been sent from a crew member — turned out to be mistaken. A search and rescue mission involving aircraft and 13 ships from seven countries includes the Argentine destroyer ARA Sarandi, the corvettes ARA Rosales and ARA Drummond, the British ice patrol vessel HMS Protector with Royal Navy submarine rescue specialists, and the offshore patrol vessel HMS Clyde routed from South Georgia. Fearing the worst, the U.S. Navy has sent a submersible rescue chamber, or SRC, which is designed to attach to a stricken submarine as it’s underwater and save the crew. President Donald Trump should deploy a naval blockade against North Korea in order to stop its nuclear weapons program, argues retired Navy Lieutenant Commander Gregory Keely. Keely, who served in Iraq and Afghanistan and was also a senior advisor to the House Armed Services Committee and House Foreign Relations Committee, believes that a naval blockade is the best tactic to get Kim Jon Un to abandon his drive to obtain nuclear warheads that reach the U.S. The one thing that could scupper these efforts is what’s motivating them: Brexit. If talks on Britain’s departure from the EU descend into acrimony, or no final deal is reached, it will be hard for either side to get closer on the military front. For now, Britain is pushing ahead on security, even as Brexit negotiators struggle to make progress. In keeping with Prime Minister Theresa May’s mantra that Britain is leaving the EU but not Europe, the U.K. is sending strong signals it remains committed to the defense of the Continent. Britain’s chief of the defense staff was recently elected as the head of NATO’s military committee. British Cabinet ministers have floated the idea of David Cameron taking over as the Atlantic alliance’s secretary-general. U.S. Army leaders held a breakfast with reporters last week in which they tried to explain their strategy for keeping soldiers connected in future fights. How to pierce the "fog of war" is a long-running theme in military circles, but with each new advance in communications technology, the discussion becomes harder to follow. Some people came away from the breakfast confused. One person who did not was Breaking Defense deputy editor Sydney Freedberg. Freedberg has been following the twists and turns in Army technology plans for years, so he was able to discern what the bottom line was on the network briefing. As he put it, "there's no quick fix: The service is effectively starting over on what it's long described as its No.1 priority." After spending billions of dollars on next-generation tactical communications gear, Army leaders have decided it won't work and they need a different approach. Israel’s proven ability to locate and destroy tunnels undermines the rationale of the enemy system (including both Hamas and Palestinian Islamic Jihad) whereby attack tunnels are a strategic and psychological tool par excellence. Despite the pressure to respond to Israel’s destruction of the Gaza tunnel because of the many casualties, it seems that Hamas does not want escalation at a time that it is focused on implementing the reconciliation agreement with Fatah. As a military escalation with Israel would hurt Hamas, the organization will therefore try to restrain the other organizations, and if there is a response it will likely be limited. 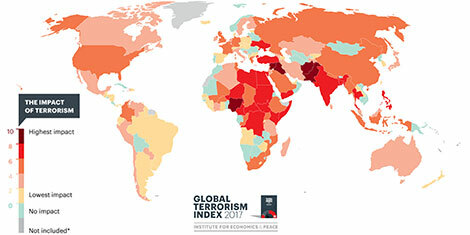 For its part, Israel must both preserve its strong deterrence and prevent escalation. In this setting, Israel should assess the reconciliation process between Hamas and the Palestinian Authority and consider its possible contribution to stability in the Gaza Strip. While the chances of success are slim, the very existence of such a process may serve Israel’s strategic interests and enable the shaping of a reality that is more convenient for both Israel and the Gaza Strip population.